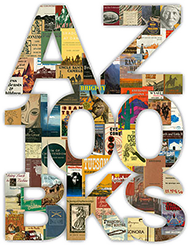 Webb, George , “A Pima Remembers ,” Arizona 100: Essential Books for the Centennial, accessed April 21, 2019, http://speccoll.library.arizona.edu/online-exhibits-dynamic/az100/items/show/245. 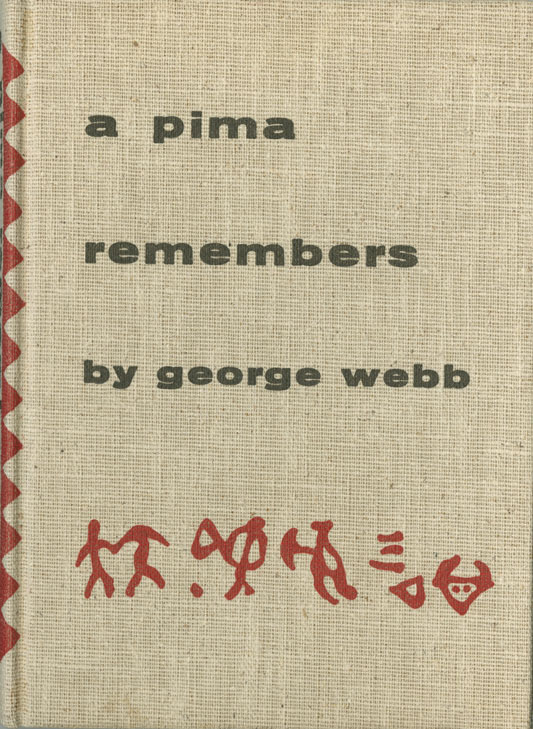 Still in print after more than fifty years, Webb’s simple narrative recalls life where he was born in the Pima village at Gila Crossing, about twenty miles south of Phoenix, and the traditional beliefs and practices of his people. 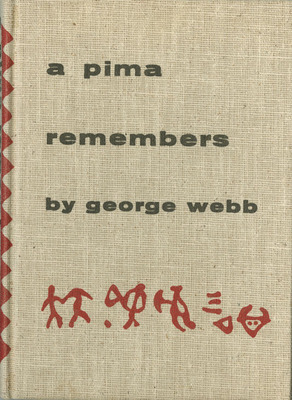 Educated by Pima tradition but also in Anglo schools, Webb was a cattleman and served as a judge of the Tribal Court. He tells us of such things as how the “kitchen” (outdoor area, sometimes with a ramada as protection) was arranged, what games children played, and the cooperative ways in which wheat was harvested.